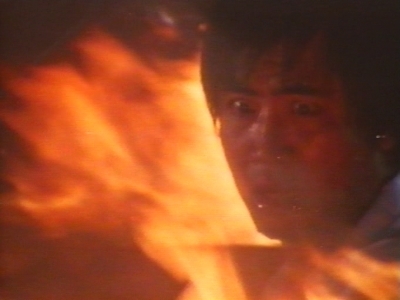 Also known as Phoenix The Raider when Joseph Lai's IFD decided to present the movie without alterations such as new footage with Westerners dressed as ninjas, Brigitte Lin may be Venus Lin for these set of credits but otherwise Ulysses Au's (The Country Of Beauties) movie merely got an export version on its own terms. On said terms it also probably plays just like the subtitled version did. I.e. very poorly. Considering the talent involved, Deadly Angels fails in a spectacular fashion and while it's the fault of the involved, the basic genre is too foreign for them too. Ulysses Au is an experienced genre director, whether crafting martial arts, female revenge or wacky exploitation such as The Country Of Beauties so there should a viewer-confidence that at least this thriller could be workman-like as executed. Coupled with the game and iconic female stars, it's strange how Deadly Angels fares so poorly. It somehow comes down to the fact that it's quite ordinary and Taiwan does not do ordinary and modern well. A talky narrative as the story unfolds holds no tension, the low budget and as a consequence earthy look generates no grit and when your iconic actors have a trouble elevating this material, there's red flags all over the place. The revenge at heart, the bloodthirsty type even could've (but doesn't) resulted in some spectacular action and violence but other than a crane dropping a car off a cliff at the hour mark and a motorbike driving up a wall, this script calls for the developments and twists and conclusion to be felt through dialogue. And even when there's action, the staging is uninspired and furthers the thought that the filmmakers felt no comfort or confidence dealing with this material. The noise it makes is just noticeable and doesn't further the revenge-template and really, IFD should've avoided this too. Despite the names involved.